The future is unwritten. The technical capabilities of health care have advanced significantly in the last century. Some of the era’s bold, even outrageous predictions have become reality. But what will the next century look like as we tackle challenges in health care related to quality, access and cost? The year 2100 is sooner than we all think. Jefferson (Philadelphia University + Thomas Jefferson University) and Kaleidoscope Health & Care invite you to take up your pen–or laptop, tablet or smartphone–to imagine what health care will look like 82 years from now, in 2100: A Health Odyssey, a short story competition on the subject of how health and health care will impact lives in the year 2100. 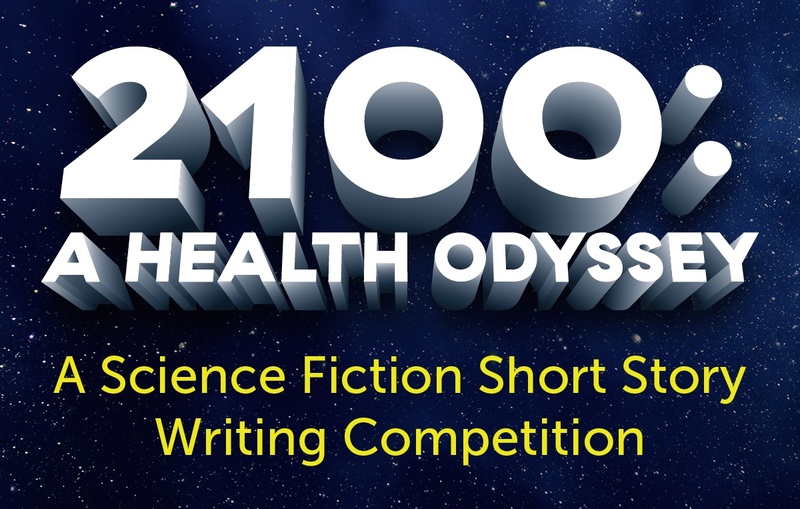 Modeled after the UK’s Writing the Future, 2100: A Health Odyssey asks creative thinkers and writers to apply their passion, talent, expertise and imaginations to write a story exploring a brave, new world of medicine. Our high-profile group of final round judges include internationally recognized leaders in health care, the arts, technology and innovation: Priya Agrawal, Seth Berger, Donald Goldmann, Joelle Pineau, Carla Pugh and Colleen Wyse. A first prize of $10,000 and second prize of $5,000 will be awarded. Runners up and other prizes will also be awarded, and categories of additional winners will include current employees, students and alumni of Jefferson. All winning entries will be widely disseminated and showcased. Applications must consider how health and health care might look in the United States in the year 2100. Please ensure your story makes explicit reference to being set in the United States. Science fiction is regarded as “the literature of ideas,” and it is with this broad consideration that we expect submissions to explore the future of health and health care in the United States in 2100. Visit here to learn more and to enter the competition. All entries are due by 11:59 p.m. EST on Saturday, Dec. 1. Winners will be contacted in March 2019. Watch Stephen K. Klasko, MD, MBA, president of Thomas Jefferson University, share his insights on the importance of the contest, his enthusiasm–and some of his writing tips.